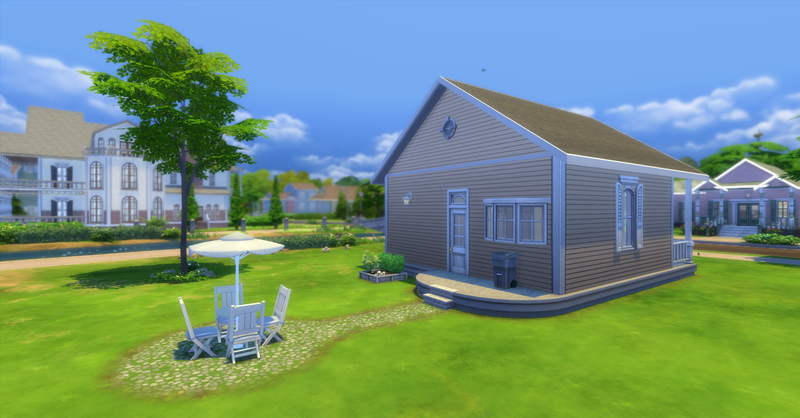 Here is a lovely 1br/1ba ranch style starter home for your sims for under $20,000 simoleons. The exterior features brick accents, harvestable roses and lily flowers as well as a veggie garden with mushrooms, spinach, basil and onions for the aspiring chef. The interior is well appointed with mid-range appliances and furniture to make your sim comfortable at home. I have made two starter homes for your sims to enjoy. 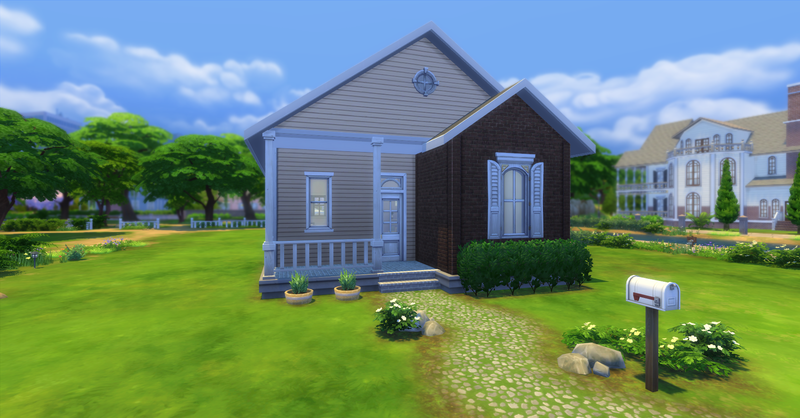 They are very small homes which will satisfy your sim’s basic needs and wants. They are created with NO CC or MODS or the use of the MOO cheat and are base game compatible. 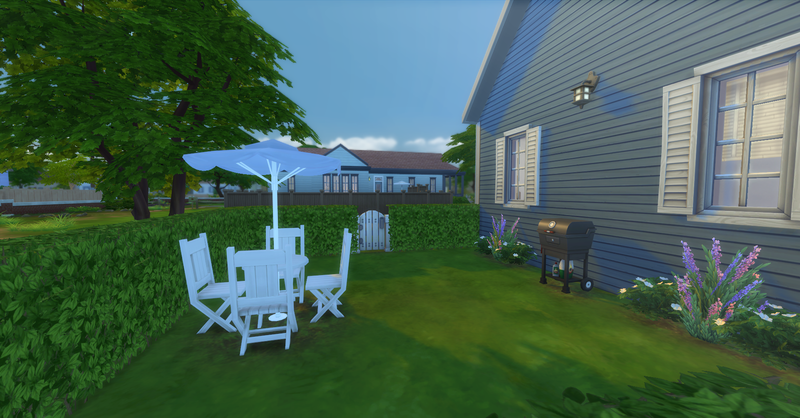 Both houses can be downloaded from the links or if you search the Gallery for Love_Wasaabi (Origin ID). Enjoy! This home includes the basic appliances for the kitchen and bathroom. 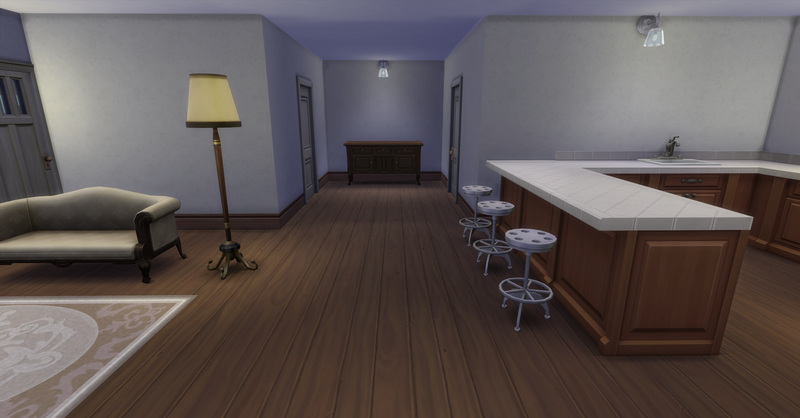 The kitchen features a wrap-around counter with a breakfast bar for your sims to eat at. 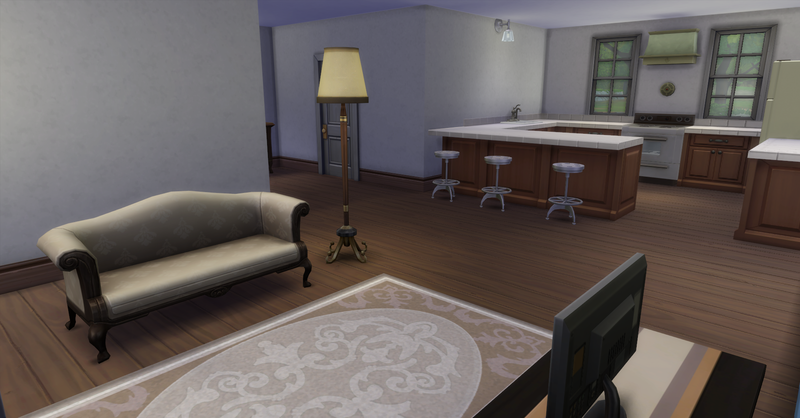 The living room is furnished with a mid-quality couch and TV to keep your sims entertained. The bedroom is comfortable with a mid-quality bed and the bathroom can be updated with a tub in the future. 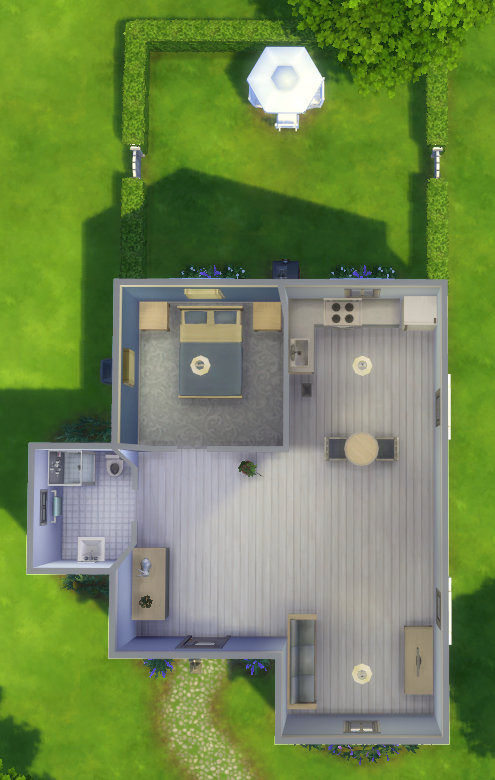 I built this home on the 15×20 lot called Rindle Rose in Willow Creek, but you can place it anywhere you want in your game. This very affordable starter home features natural riverstone accents on the exterior and a soothing atmosphere. The kitchen is furnished with an L-shaped counter and small dining table. 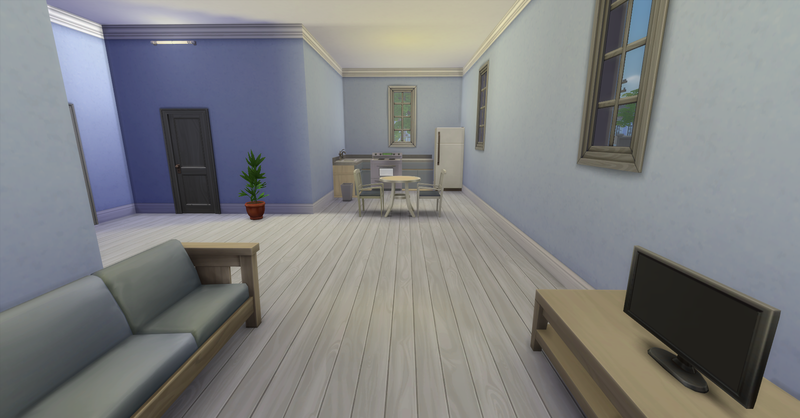 The living room features a small TV and budget couch to keep your sims happy. 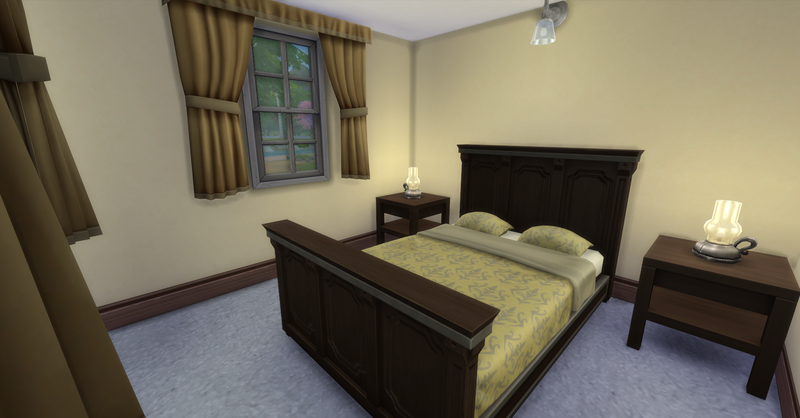 The bedroom is very basic with a budget bed, however its blue color scheme is very soothing. The bathroom is very small and outfitted with the most basic appliances for cost reasons. There is also an outdoor grill and eating area at the back of the house. 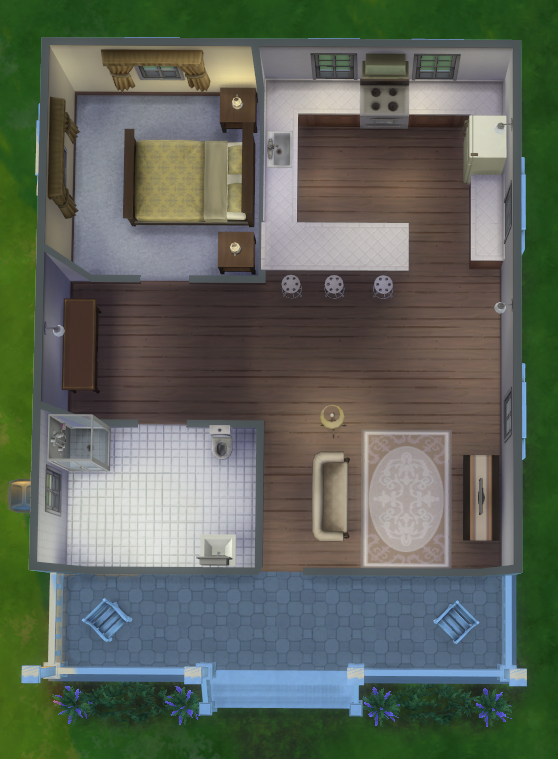 This home was built on the 20×30 lot called Daisy Hovel in Willow Creek , but again you can place it anywhere you want in game.